Launch a professional, flexible and user-friendly classified ads website using this Joomla template! 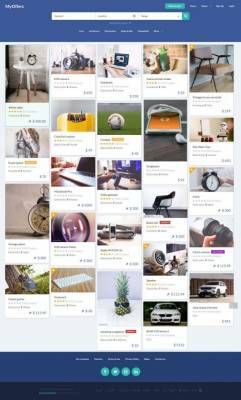 The new MyOffers classified ads Joomla template is the right choice for creating classified ads portal. It’s powered by the DJ-Classifieds, the leading classified ads extension for Joomla. The component brings useful features including paid ads, advanced search and unlimited custom fields and much more! It has been developed with fully responsive layout and many Joomla components integrated in. This template provides plenty of options, features (lazy loading for masonry grid with classified adverts) and extensions (included for free) - Now you can easily establish an attractive web page!